Nauryz is celebrated broadly by over 300 million people worldwide in such places Middle East, Balkan Peninsula, Central Asia and Caucasus. In 2010, Nauryz is proved as the International Celebration by the General Assembly’s 64th conference of UNESCO. Further Nauryz is recognized as a UNESCO World Heritage (by Educational, scientific and cultural organizations). Nauryz is a non-religious celebration, but a celebration of the mankind who are in close relationship with mother earth. Nauryz is a very important holiday for Kazakhs, which marks the beginning of a new year. It is celebrated several days starting from 21st of March, the day of the spring equinox. Nauryz means ‘new day’, it is celebrated in the Great Steppes from ancient times. Nauryz symbolizes goodness and wealth, happiness and love and a great friendship day, since this holiday is common for many nations. 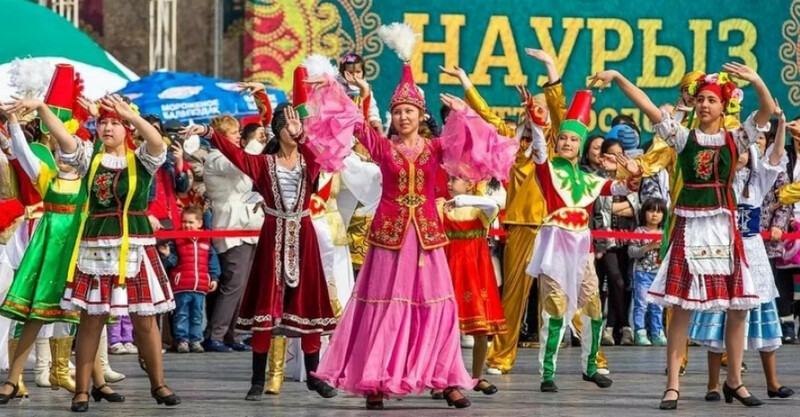 During Nauryz celebrations, past offences are forgiven and forgotten and everybody makes a wish to leave all badness behind and bring renewal in the New Year. Kazakh’s citizens says about the fest that Ulystin uly kuni which means “the great day of the community.” During this festival local people organize horse racing, traditional parade at main square, Mongolian wrestling, traditional folk concert and special part is all people from this town can visit any house or family as more as they can, and it doesn’t matter if they know each other or no they will just show their best hospitality!